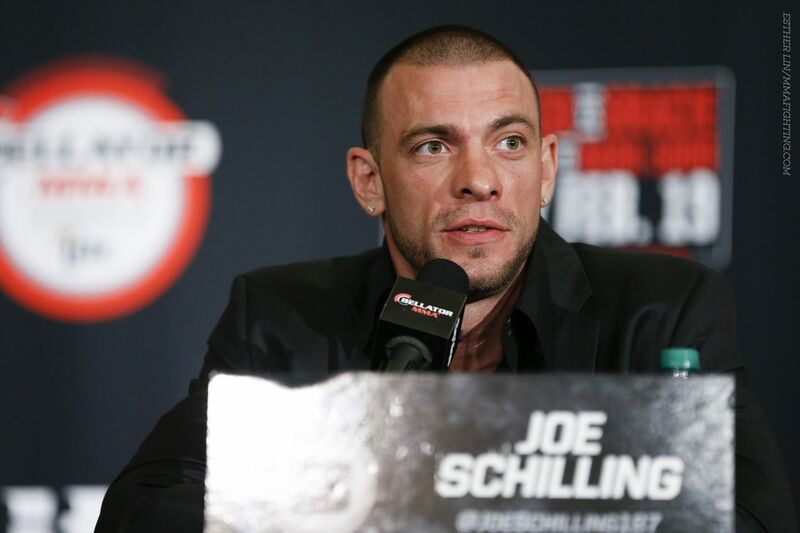 Joe Schilling doesn’t think he’ll have many friends at the Sears Centre Arena this weekend. It’s not often that a fighter will compete for an organization when he is already set to bolt after his contract is up and everyone knows it. But that’s exactly the case for Schilling when he meets Michael Lemaire at GLORY 27 on Friday night. Schilling, the most well-known American kickboxer and fan favorite, has already inked a deal with Bellator Kickboxing and was introduced at the new promotion’s introductory press conference last Friday in Houston. That contract just won’t begin until he fulfills two more fights with GLORY. This particular one will come on the Superfight Series in Chicago and will air on UFC Fight Pass. It’s not secret he’s leaving for the competition in a few months, so Schilling is expecting that everyone — from the broadcasters to the referees to the judges — will be against him this weekend. Add in the fact that he took the fight on less than two weeks notice while Lemaire, a legit prospect, had a full training camp and Schilling understands what’s going on.